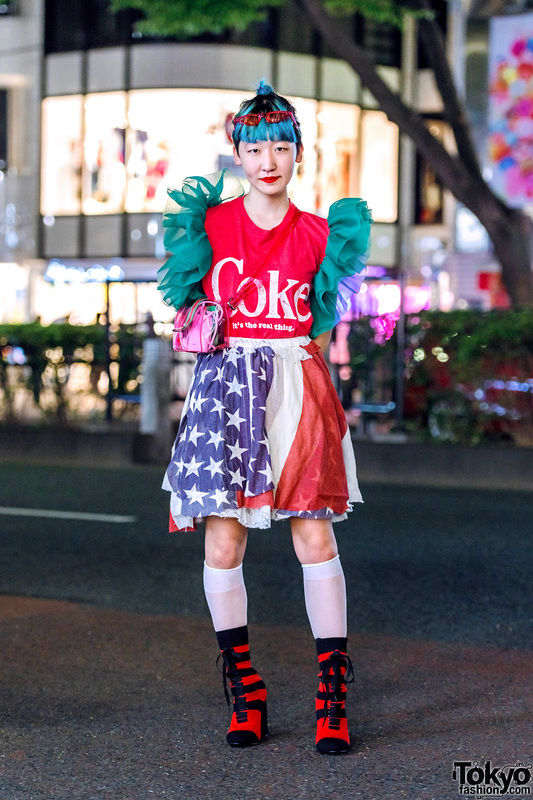 While out on the streets of Harajuku one evening, we spotted Rikako, a 19-year-old student whose streetwear ensemble definitely caught our eye on the street. 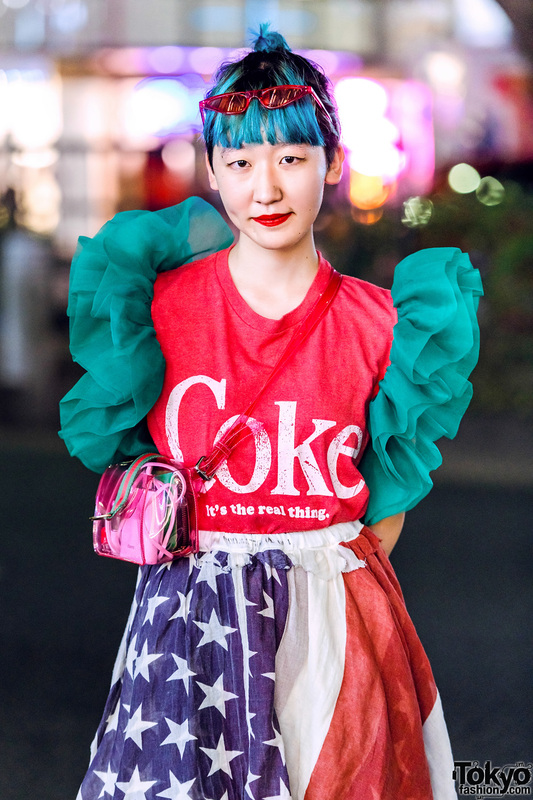 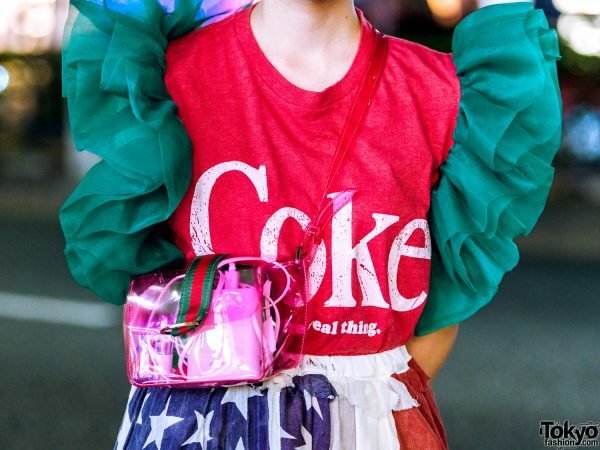 Rikako – sporting aqua hair swept up in a fringed bun – is dressed in a red Coca-Cola shirt with green ruffle sleeves from MicrowaveHK, which she tucked into a layered flag skirt with stars and stripes from Go To Hollywood. 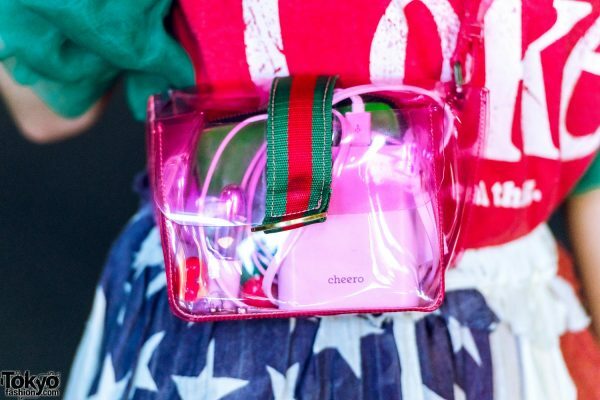 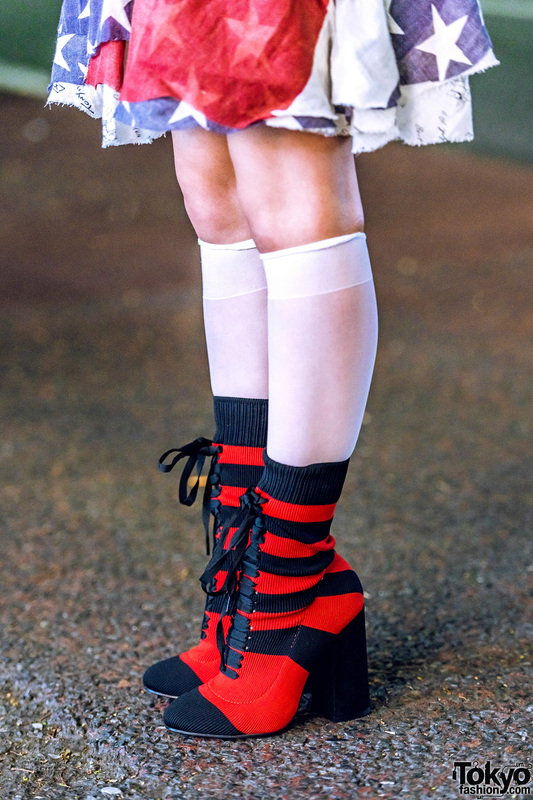 Sheer white knee socks, heeled lace-up sock boots with red-and-black stripes from Punk Cake, and a resale pink clear sling bag completed Rikako’s style. 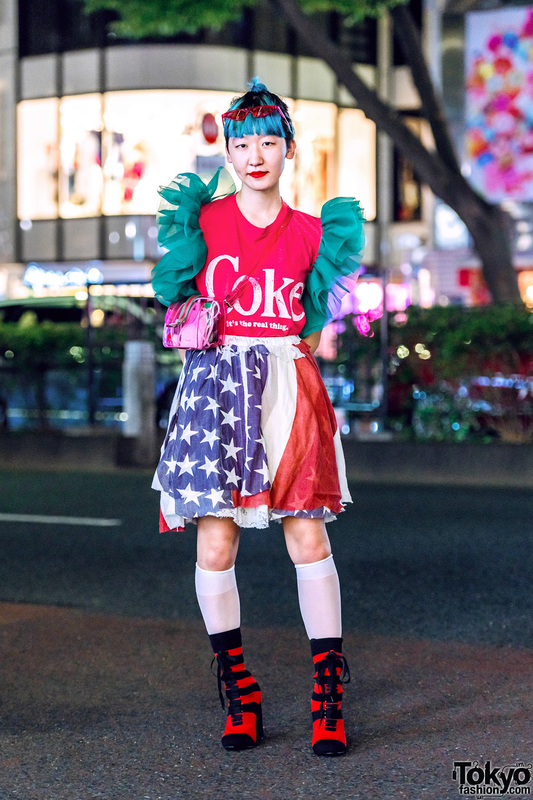 A pair of triangular-shaped red sunglasses finished off her statement-making look. 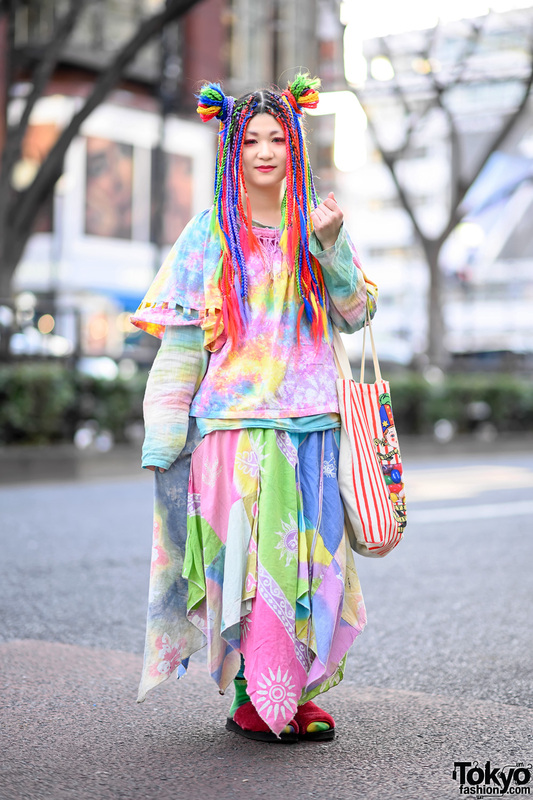 Punk Cake Harajuku is Rikako’s favorite vintage boutique, and she likes listening to the music of Sakanaction. 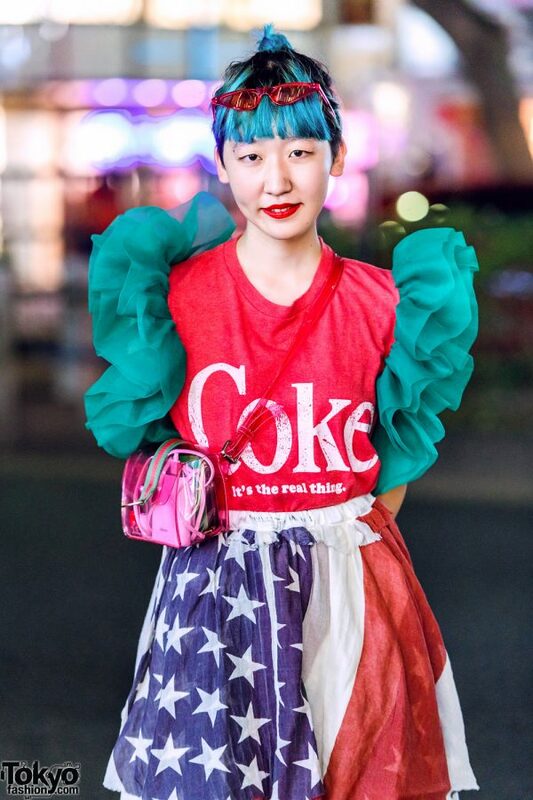 Follow Rikako on Instagram.